A Cage Rocket is a personal storage pod. 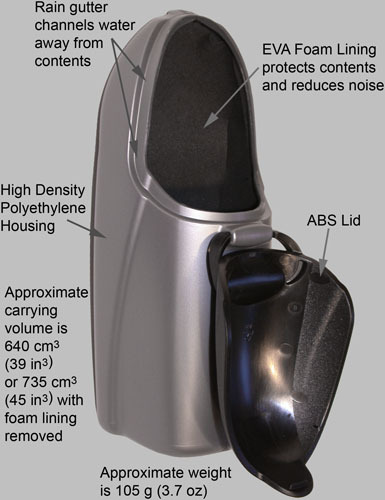 The Classic SPod weighs only 105 grams (3.7 oz) it is sleek, light weight, and rugged. 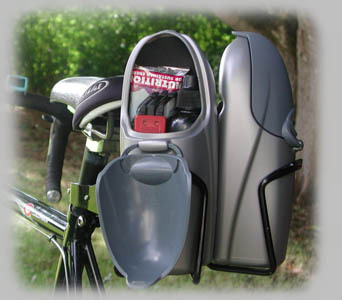 The Classic is designed to fit securely into almost all standard bicycle water bottle cages. Water bottle cages are traditionally found on bicycles of all kinds, but now manufacturers mount cages on a variety of products including exercise equipment, and golf pull/push carts. Our patented design allows you to access stored contents without removing the pod from the cage (see a computer animation of Cage Rocket in action). The hallmark of Cage Rocket products is portability. Portability equates to versatility and assures that the Cage Rocket can be used to solve your personal storage needs. Click on a Classic to view details. There is no other storage pod that is moved so easily from bike to bike. Unlike other storage pods, your Cage Rocket purchase is not burdened by mounting clips, or velcro to fasten the pod to each of your bikes. We take advantage of the sturdy natural mounting system that exists on your bike already. We believe that a cyclist should never ride without identification, communication, money or credit card, and your keys. Where do you carry these essentials now? 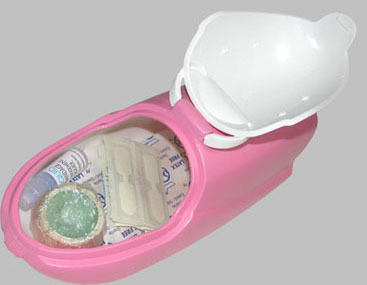 For as little as $10 USD you can have a secure place to always carry these critical items. For bike commuters, have your essentials easily accessible and protected in a Cage Rocket. 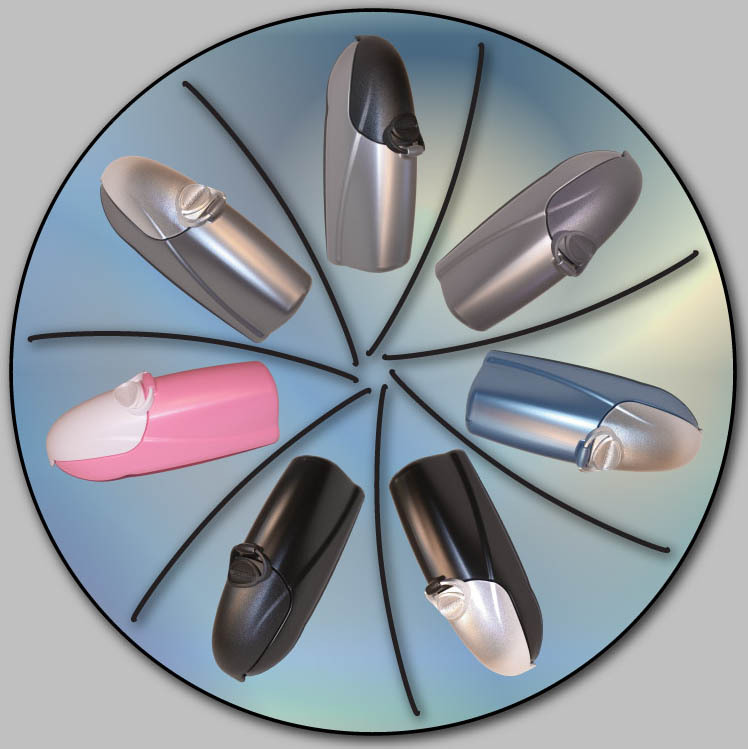 Hear your cell phone ring and stop to take that important call on your way to work. When you get to your destination it only takes seconds to remove the Cage Rocket and bring your valuables with you. Below are typical mounting locations cages are found on bicycles. For safety reasons , please don't try and access your Cage Rocket while riding. When you are working out in the gym, where do you put your essentials? You don't want to carry that stuff in your pocket while you are working up a sweat, so you either leave it unsecured in the community bin or lockers, or beside the equipment somewhere. 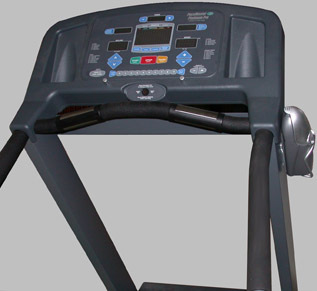 Many treadmills already have a water bottle cage mounted on the uprights (shown with Sku #07). Why not have a secure place to carry your essentials through your workout circuit. Don't worry about your essentials in that community bin again. Get yourself a Cage Rocket! Golfers don't like to carry their keys and their wallet while on the course. It can be uncomfortable, or even worse, it can affect your swing. 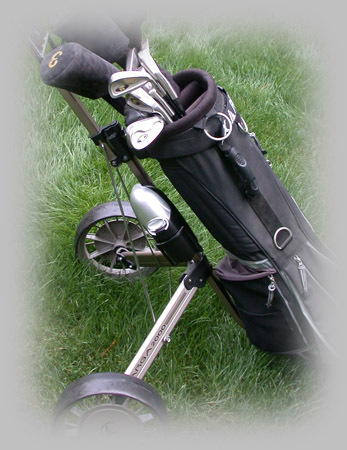 Many golf pull/push carts have water bottle cages, yet golfers often don't carry a water bottle, so the cage is empty. Why not have a place to store your essentials while on the course, and fill that empty cage with a Cage Rocket (shown with Sku #04). A Cage Rocket is a great way to separate safety essentials for your backpack, and allow these items to be easily moved from pack to pack. We are avid back country skiers. Our ski packs have a Cage Rocket with a Mini Maglite, Swiss Army Knife, Space Blanket, Matches, Lighter , Stubby Slotted Screwdriver, Energy Bar, and Jerky. You can see from the picture above that all these items fit perfectly in your personal storage pod (shown with Sku #03). The Cage Rocket can then just be moved to a different pack when ski season is over and you are ready to start hiking. Your life could depend on carrying this stuff. Why not get yourself a Cage Rocket and make your own kit for your backpack. Make your own First Aid Kit by adding various bandages, liquid bandage, butterfly closures, gauztape, adhesive tape, antiseptic wipes, antibiotic ointment, safety pins, tweezers, acetaminophen, benadryl, ibuprofen,and aspirin. Use Sku #06 with the white lining for a visual indication of content cleanliness. Compared to the size, cost, and versatility of a pre-packaged First Aid Kit, the Cage Rocket is a better choice. Why not buy a Cage Rocket and make a First Aid Kit for yourself, or for a friend. When going on a quick trip, you can use your Cage Rocket for fishing too. With the foam lining you have a perfect place for your flys and lures. You can carry some extra line, nail clipper or knife, and a small stringer. All you need is your fly rod and a Cage Rocket (shown with Sku #05). How much did you pay for the case for your sunglasses? It was probably more than the cost of a Cage Rocket. 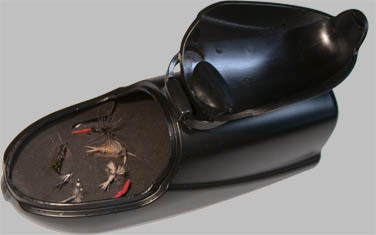 With a hard shell and foam lining the Cage Rocket is great for protecting your sunglasses in your car. With the price of fuel, you need to keep an eye on tire pressure. Tire pressure can have a big affect on fuel consumption. 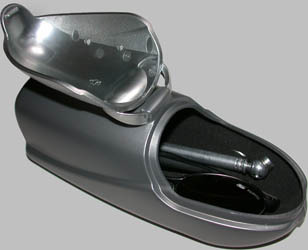 You should carry a tire gauge in your car, and check your tire pressure often. How about spare fuses? Maybe you need some change for the toll booth too. 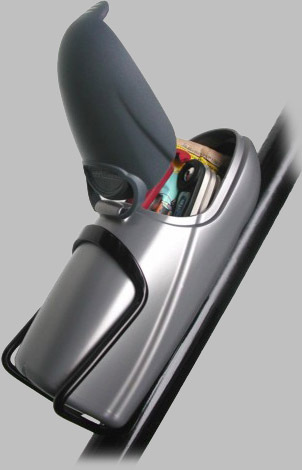 Is all that stuff rolling around in your glove box? 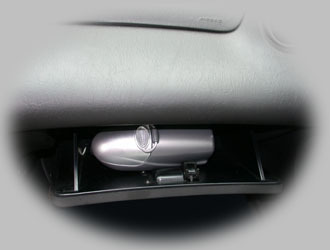 It is time to organize your glove box essentials. Make it easy, and buy yourself a Cage Rocket! Alloy water bottle cages are inexpensive. With two screws you can mount a cage almost anywhere. Add a Cage Rocket for instant portable personal storage. You need both your Cages for Water Bottles? Most traditional bikes have 2 water bottle cages. 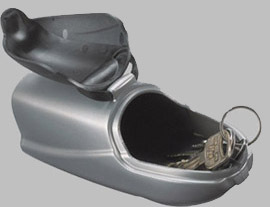 For short rides, you don't need both water bottles, but you do need your ID, cell phone, and keys. For long rides many people now use hydro packs so that should free up a cage. 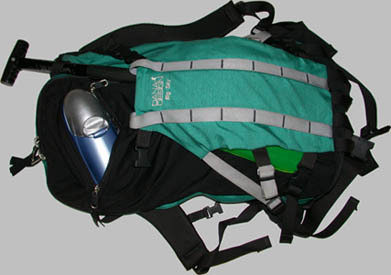 It is inconvenient to take your pack off to get to your cell phone or other essentials. If you ride with a hydro pack you will find the Cage Rocket is a wonderful addition for your bike providing instant accessibility to your essentials. If you still need two cages for your water bottles, consider some of the ways to add more cages to your bicycle. Maybe a stacking cage, handle bar, or seat post cage mounting bracket would be right for you. There are many products in the market today that allow for additional cages to be mounted on your bike. During the design of the Cage Rocket we narrowed our concepts to four final designs. Included in the final designs was a cylindrical shape that would fit into all cages. We used focus groups to give us feedback as to which design they liked best, and we went to production with the design they chose. Many items that people want to carry in their personal storage pod are flat and rectangular including cell phones, cameras, PDA's, and MP3 players. With a cylindrical shape these items can only fit in the middle of the cylinder and then your storage is segmented with two small crescent shapes remaining to fit your other items. The Cage Rocket has a flat back which is perfect for these items. We then shaped our product to fill the open sides of an alloy cage, thereby giving you 20% more carrying space than a cylinder ever could. When you consider the efficiency of the space created by the flat back, and carrying PDA phones, cameras, or larger MP3 players, our shape creates up to 50% more space than a cylinder. Therefore our shape does not fit the "bat wing" style cages and the plastic cages with a circular entry. Alloy cages represent the largest installed base on bicycles worldwide. Our focus groups felt it was better to appeal to the largest segment of riders, and most importantly maximize the carrying space available in a standard cage. If you want to see how much you can fit in your Cage Rocket, click for a drawing. Our charter is to manufacture domestic product in the United States. When was the last time you bought something made in the US? Does it mean anything anymore? We are doing our best to provide a quality product for a reasonable price, while providing jobs in the US. When you buy a Cage Rocket you are not only getting a great product, you are supporting those who otherwise would not get a chance to work.